Motorists crossing over the Townsends Inlet Bridge can now pay their tolls using the automated E-ZPass system. The Townsends Inlet Bridge may be antiquated, but at least its toll-collection system is modern. 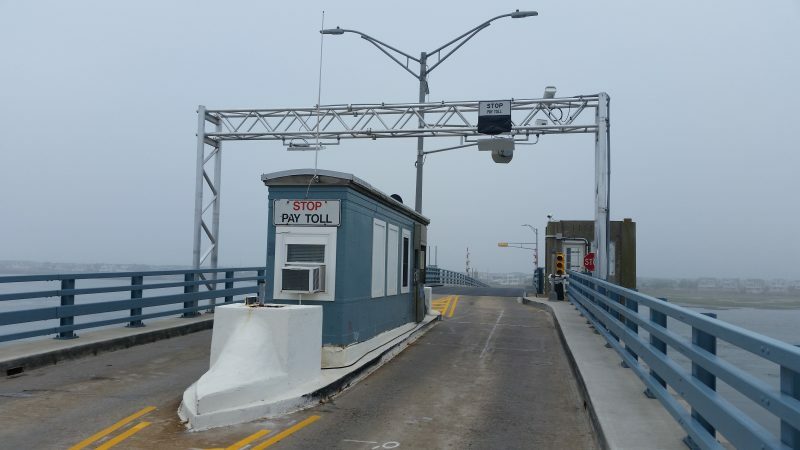 The nearly 80-year-old span linking Sea Isle City and Avalon now has E-ZPass, the automated toll system that allows motorists to pay their fare electronically without having to fork over cash or coins. 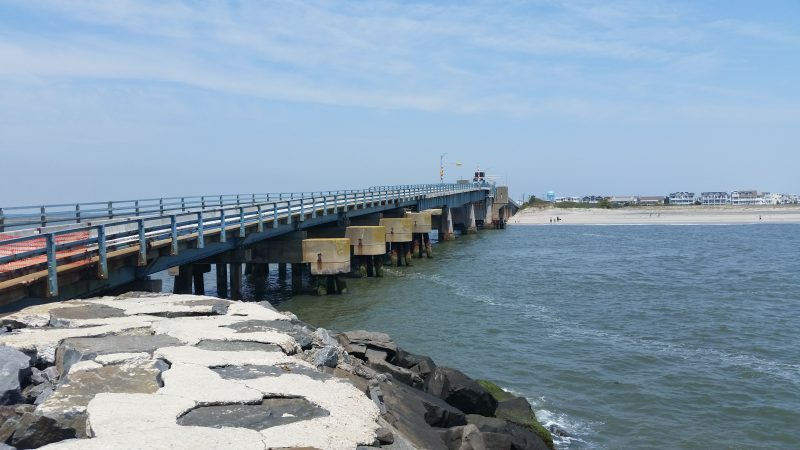 Culminating a nearly two-year effort, the Cape May County Bridge Commission has installed the E-ZPass system on the five bridges it operates along the scenic Ocean Drive coastal route. Townsends Inlet became the last of the five bridges to get E-ZPass when it went live May 21, just in time for the Memorial Day weekend traffic rush. For motorists who have E-ZPass accounts, it means they will no longer have to fumble around for cash or spare change to pay their tolls the old-fashioned way. “The biggest benefit is the sheer convenience of it. 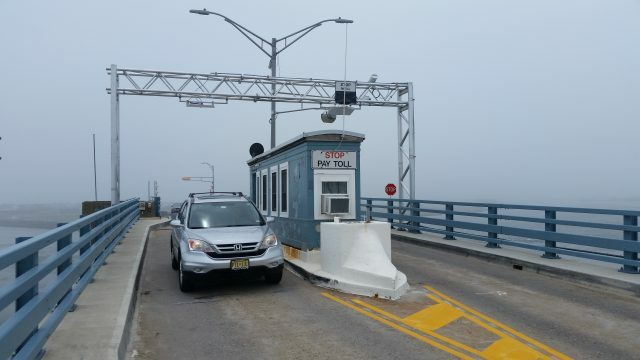 This allows them to cross the bridge without having to stop to pay the toll collector,” said Cape May County Bridge Commission Chairman Patrick Rosenello, who also serves as mayor of North Wildwood. Although E-ZPass is available on all of the bridges, cash and discount tickets will still be accepted as well. Even those vehicles with E-ZPass transponders will have the option to make payments with bridge tickets versus E-ZPass transactions. The discount tickets cost $1.20, compared to the regular toll of $1.50. The bridges will continue to accept tickets through the summer. After that, the bridge commission plans to introduce an E-ZPass discount program to replace the tickets, said Karen Coughlin, the agency’s executive director. Rosenello said he believes the bridges will always offer the option of cash tolls, even though the vast majority of the motorists are expected to use E-ZPass. He estimated E-ZPass usage will be around 90 percent of the drivers. The Townsends Inlet Bridge connects Sea Isle City and Avalon. The E-ZPass system will make the five bridges compatible with major toll roads serving the Jersey Shore, the Garden State Parkway and the Atlantic City Expressway. While electronic toll collection promises to speed up the flow of traffic on the bridges, Rosenello stressed that motorists won’t zip through the toll plazas in the same way as the E-ZPass express lanes on the Parkway and Expressway. “What people have to understand is that this is not E-ZPass Express. You can’t go through at 20 or 25 mph,” he said. In addition to the Townsends Inlet Bridge, E-ZPass is also available on the Ocean City-Longport Bridge, the Middle Thorofare Bridge, the Grassy Sound Bridge and the Corsons Inlet Bridge. Gates were installed on the Ocean City-Longport Bridge to slow drivers down as they pass through the toll plaza and enter a residential neighborhood. The four other bridges, though, do not have gates. The bridges connect the Cape May County seashore towns along the Ocean Drive, a popular route for summer tourists. During peak travel times over the summer, traffic tends to back up on the bridges while motorists go through the slow and cumbersome process of stopping to pay the toll collector. 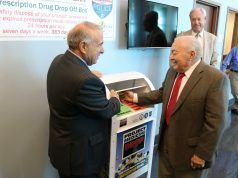 But with E-ZPass, “It certainly should speed up the toll-collecting process,” Rosenello said. An overhead gantry has been added at the toll plaza to make the Townsends Inlet Bridge compatible with the electronic E-ZPass network. The bridge commission originally planned a toll hike coinciding with the arrival of E-ZPass, but later backed off. The toll will remain $1.50. Rosenello said the toll will stay the same for the foreseeable future, certainly through this summer and perhaps even next year. 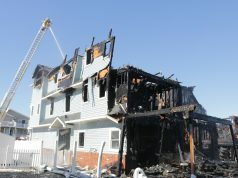 However, he anticipates a toll increase will be required at some point to help Cape May County finance a major construction program for the bridges, including the possible replacement of the aging Townsends Inlet and Middle Thorofare bridges. “I would think tolls would be increased sometime in the future, but I can’t say when,” he said.